Cloud computing is a major evolution in the way companies handle their IT management. It responds to certain needs regarding mobility, data access and simplified upgrading. It also makes it possible to spread your investments over a longer period by externalizing server management. Megabyte offers its clients a stable, economical and trustworthy cloud solution. Companies come to us for a solution that suits their IT Cloud needs. 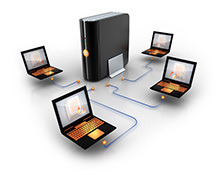 We master perfectly all aspects of application software and Cloud servers. That is why we can guarantee our clients a worry-free use of their software: accounting, invoicing, CRM, MS Office and Outlook/Exchange. 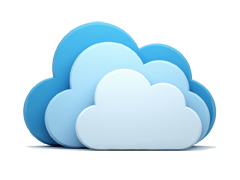 Because of our expertise we can also install hybrid Cloud solutions. That way our clients can enjoy the best of both worlds. We can offer you a personalized service. At all times you will know where your data and applications are, and that they are secured. Why don’t you start by putting your emails, Outlook, Exchange server and MS Office in the cloud ? For a monthly fee of only a couple of euros, you can use your applications anywhere, anytime. This allows you to store your emails in the Cloud, activate an MS Office 365 licence on 5 devices, … and you are always sure of having the latest version of your favourite software. 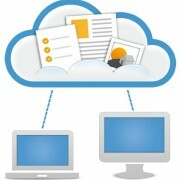 Our Cloud solutions allow you to use your management software when and where you want. Do you need our help in finding the best way to store your management software in the Cloud ? Please contact us. Together we will determine the best, safest and economical solution, based on your needs and budget.